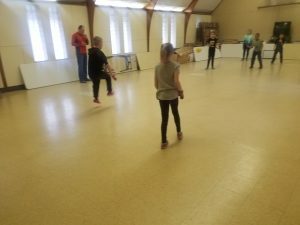 Posted on January 25, 2019 at 12:43 am. 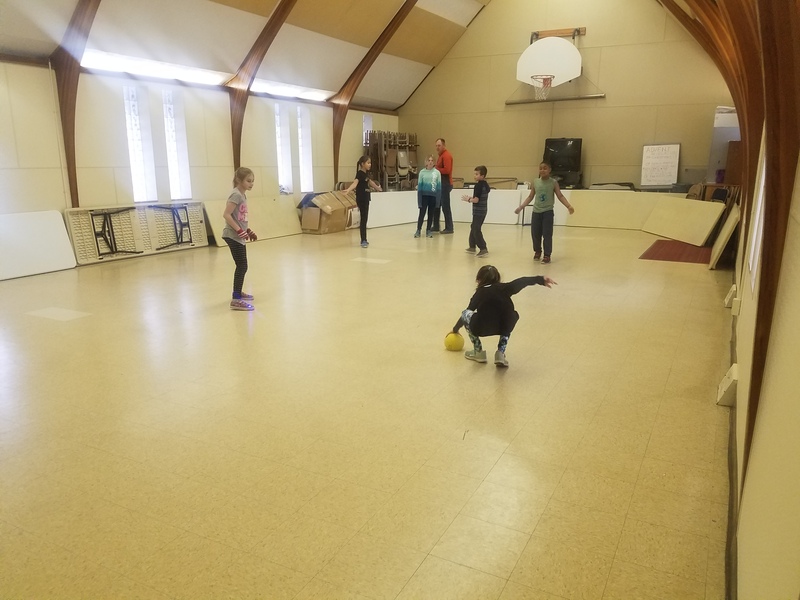 Even though it is cold outside, indoors we are having tons of fun in all the Elementary Enrichments. 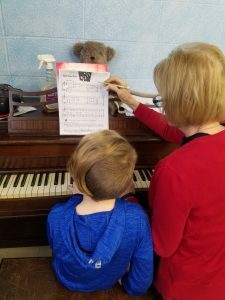 Each week your children get to hone their talents and create new ones as they learn, play, design, and share with their peers and enrichment instructors. 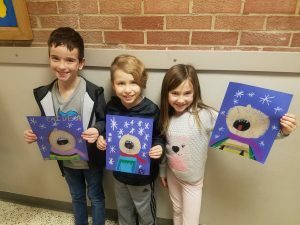 Art gives the students many opportunities to show originality with their designs. This month the students had fun creating cartoon versions of themselves reaching up to catch a few snowflakes. As you pick up your kids take a look at the bulletin board to see the other fun creations made the Elementary students. 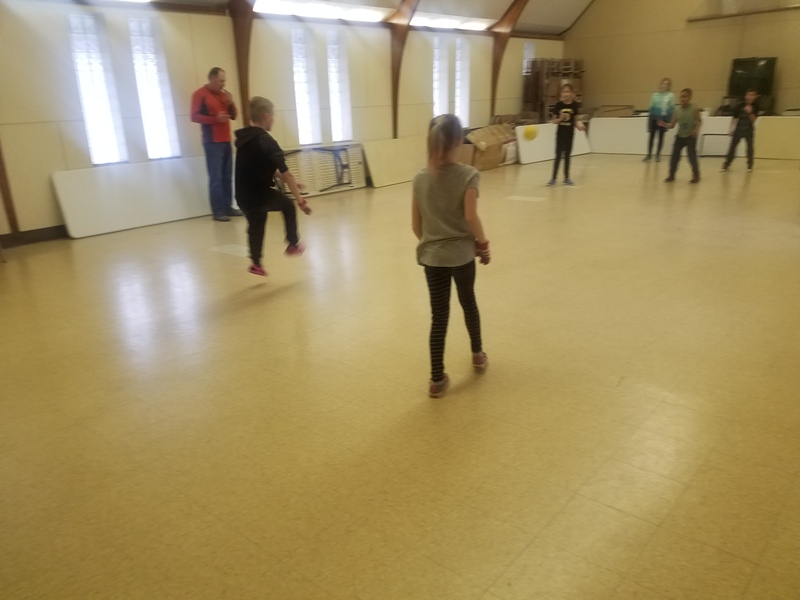 Whether it is Four Forners, hockey, corn hole, or the beloved game of dodgeball, pictured above, our Elementary friends have a blast in gym with Mr. Warner. Our students look forward to gym each week and to the new activities Mr. Warner has been introducing over the course of the year. 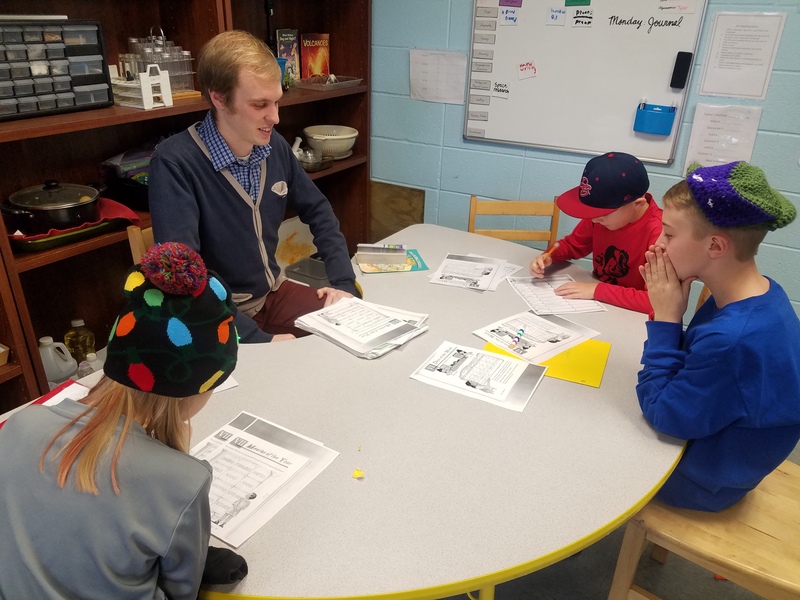 With Christmas break and our long weekend, the students have only had one Latin lesson with Mr. Matt this month but it was both educational and interesting. The students discussed Roman gods and goddesses aso well as how many myths connect back to Rome. They read myths about Romulus and Remus, Jupiter and the bee, and Pandora’s box. Where did Rome gets its name? Why do bees have stingers? How can hope change our perspective of the world? Ask your child these questions and you are sure to get an answer! 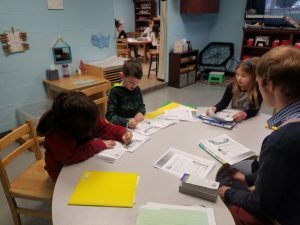 Recently, some of the students had a lesson on the origins of the months of the year. Several of the months have Latin origins and the students used their prior knowledge to decode word meanings and make connections between the months of the year. Latin lessons will continue this coming Monday. 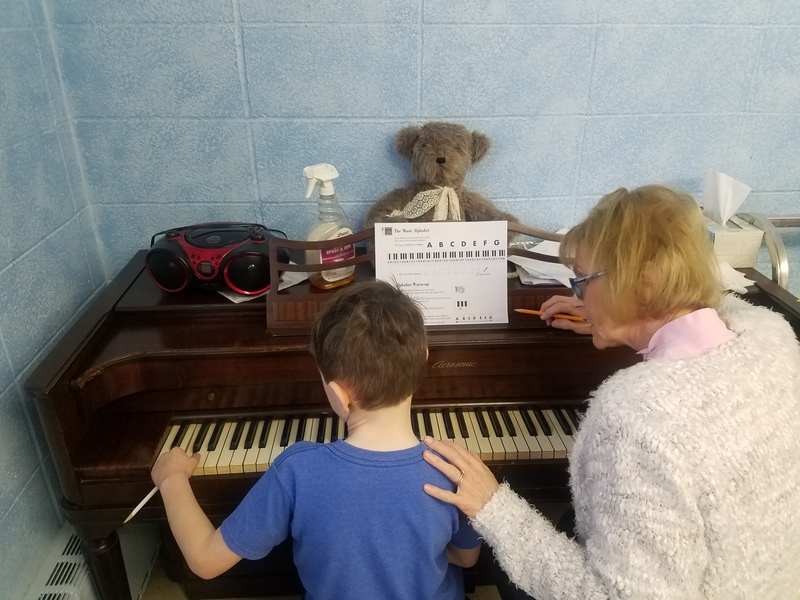 Ms. Lisa is back at it with our students teaching them various musical techniques, learning new musical pieces, and creating positive experiences for the students to enjoy all that music has to offer! Her personalized lessons with her piano students is enchanting. 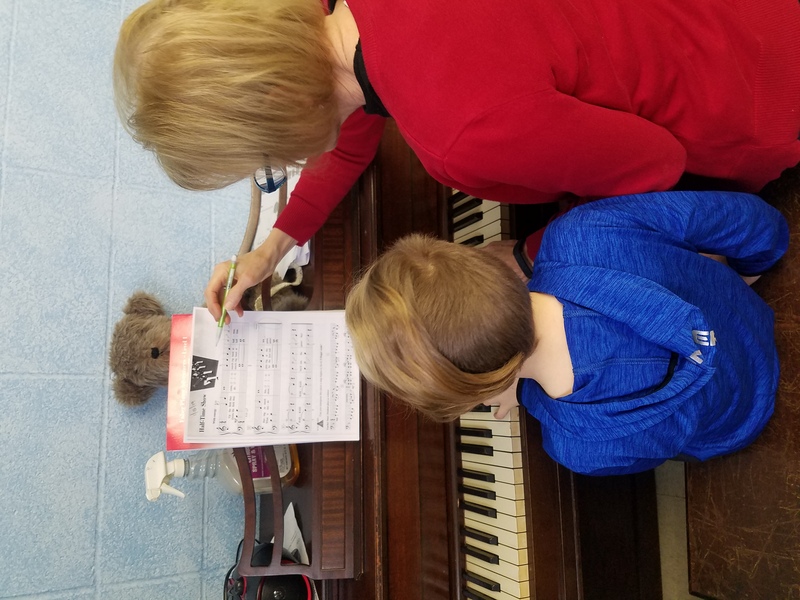 Whether it is her gentle re-direction or her positive encouragement during their successess, both show her passion for teaching music. 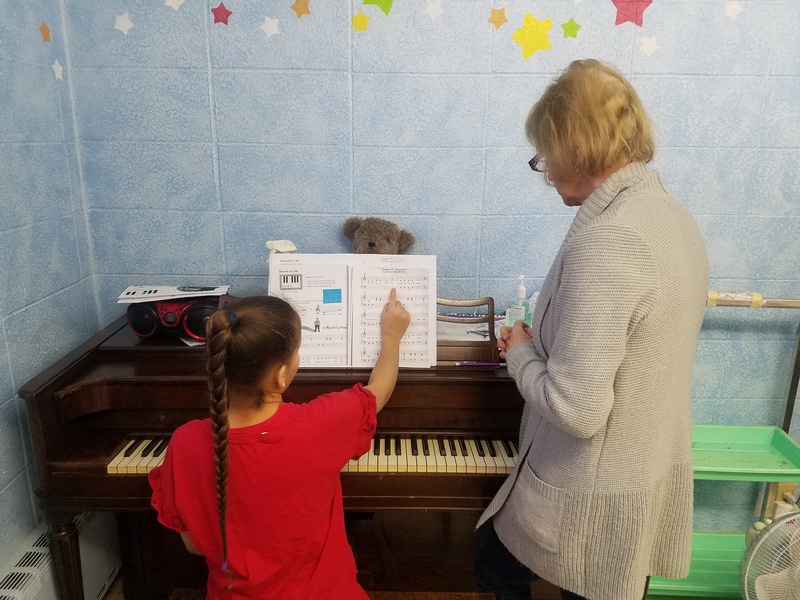 One thing that makes music special each week is that students who have shown growth in a particular piece can play a solo for their peers to receive encouragement and positive feedback on their work. 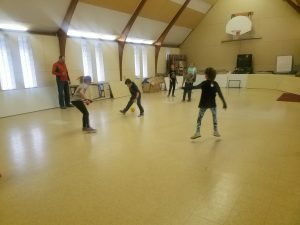 The Elementary students enjoy showcasing their work after having practiced so dilengtly as well as be able to practice the art of performing. Exciting news! The students will soon be learning to play the recorder! Stay tuned for more details to come!